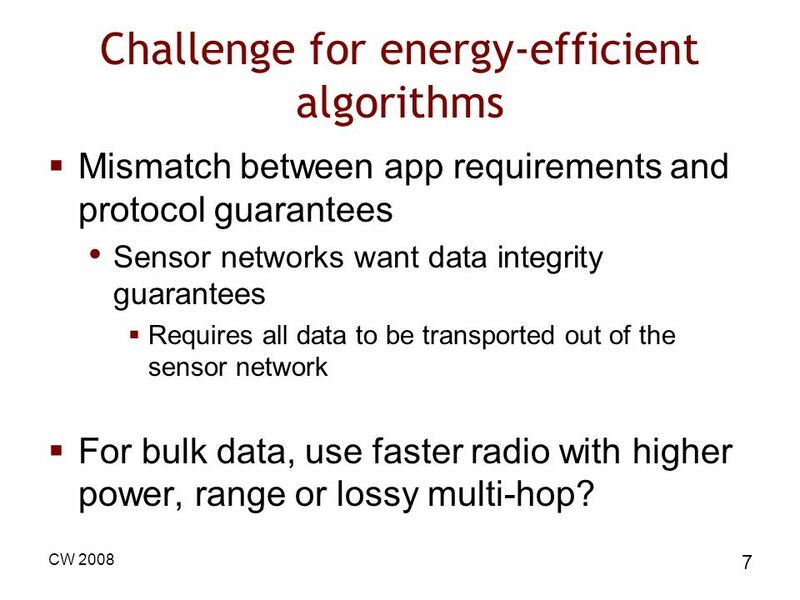 7 CW 2008 7 Challenge for energy-efficient algorithms Mismatch between app requirements and protocol guarantees Sensor networks want data integrity guarantees Requires all data to be transported out of the sensor network For bulk data, use faster radio with higher power, range or lossy multi-hop? 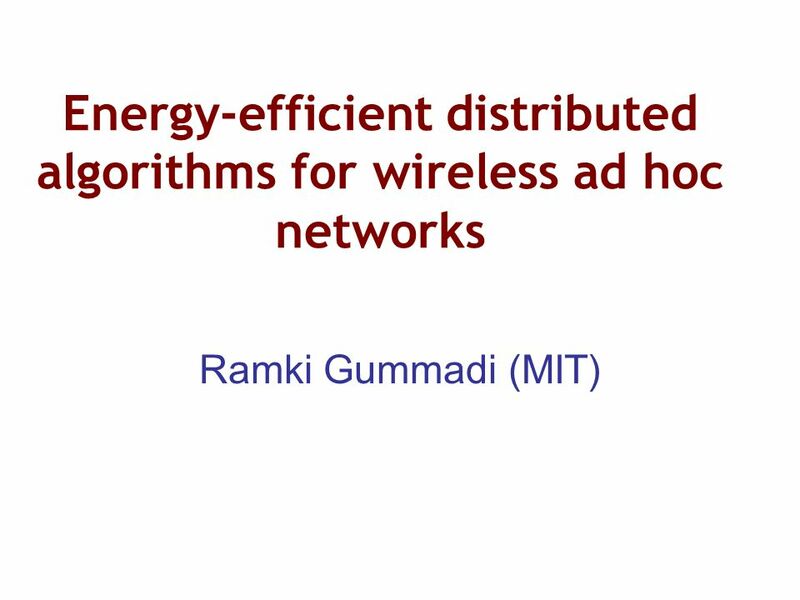 Download ppt "Energy-efficient distributed algorithms for wireless ad hoc networks Ramki Gummadi (MIT)"
Security and Sensor Networks By Andrew Malone and Bryan Absher. 1 Aggregated Traffic Flow Weight Controlled Hierarchical MAC Protocol for Wireless Sensor Networks Asia FI School Presented By Md. Abdur Razzaque Kyung. Multihop Networks: Fact or Fiction? 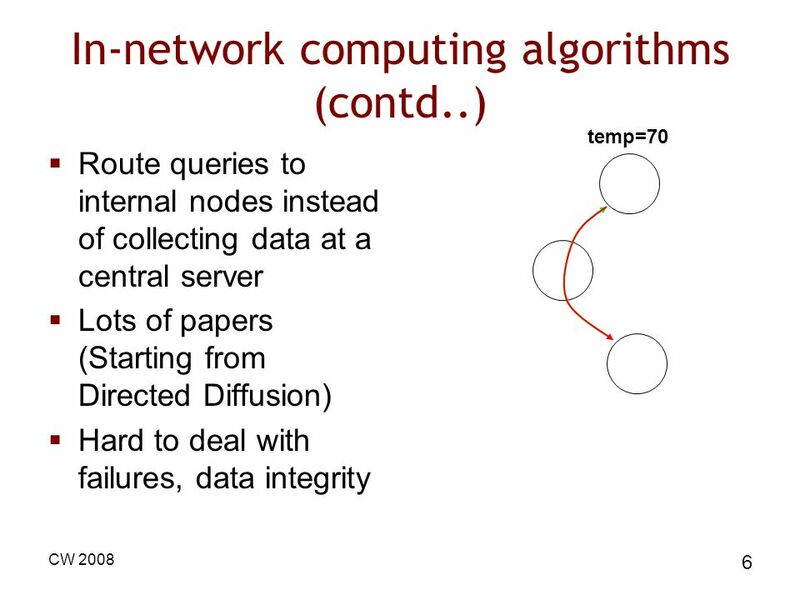 Multicasting in Mobile Ad hoc Networks By XIE Jiawei. Advisor : Prof. Yu-Chee Tseng Student : Yi-Chen Lu 12009/06/26. 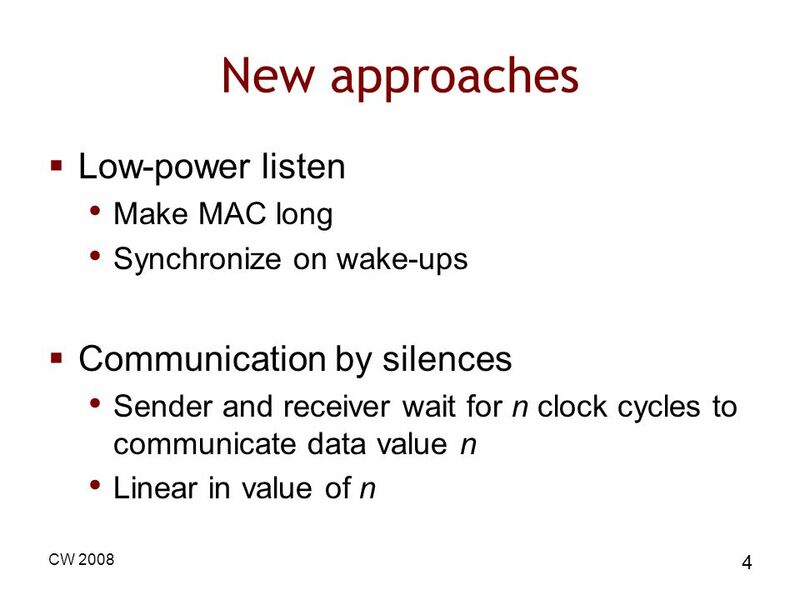 6LoWPAN Extending IP to Low-Power WPAN 1 By: Shadi Janansefat CS441 Dr. Kemal Akkaya Fall 2011. A 2 -MAC: An Adaptive, Anycast MAC Protocol for Wireless Sensor Networks Hwee-Xian TAN and Mun Choon CHAN Department of Computer Science, School of Computing. S-MAC Sensor Medium Access Control Protocol An Energy Efficient MAC protocol for Wireless Sensor Networks. 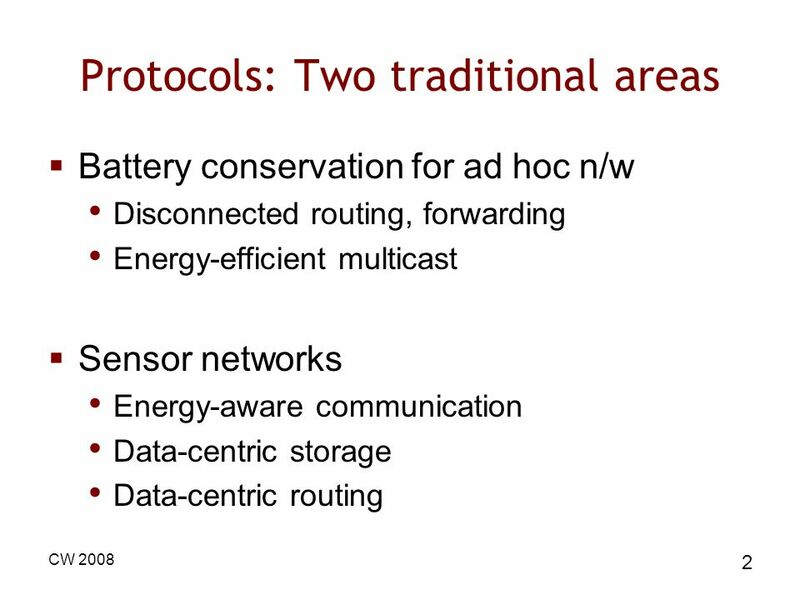 BeamStar: A New Low-cost Data Routing Protocol for Wireless Sensor Networks Shiwen Mao and Y. Thomas Hou The Bradley Department of Electrical and Computer. 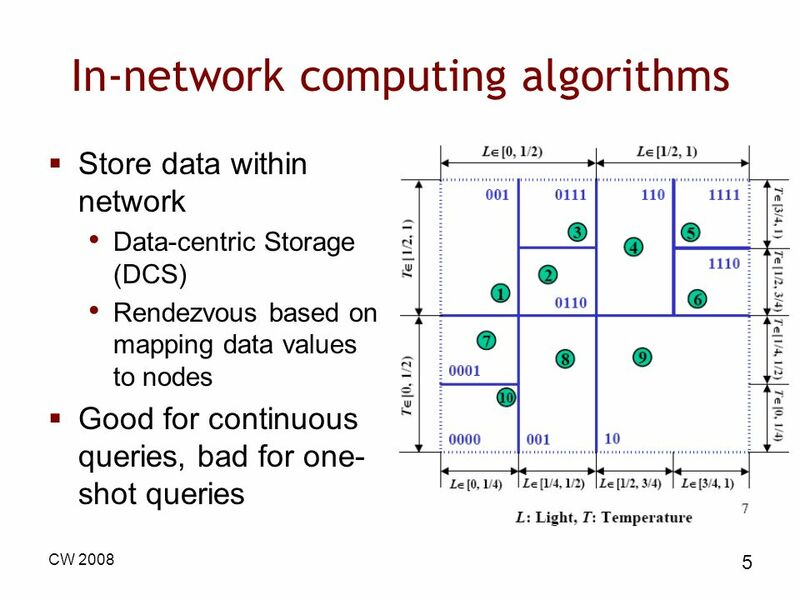 An Energy-Efficient Data Storage Scheme for Multi- resolution Query in Wireless Sensor Networks 老師 : 溫志煜 學生 : 官其瑩. 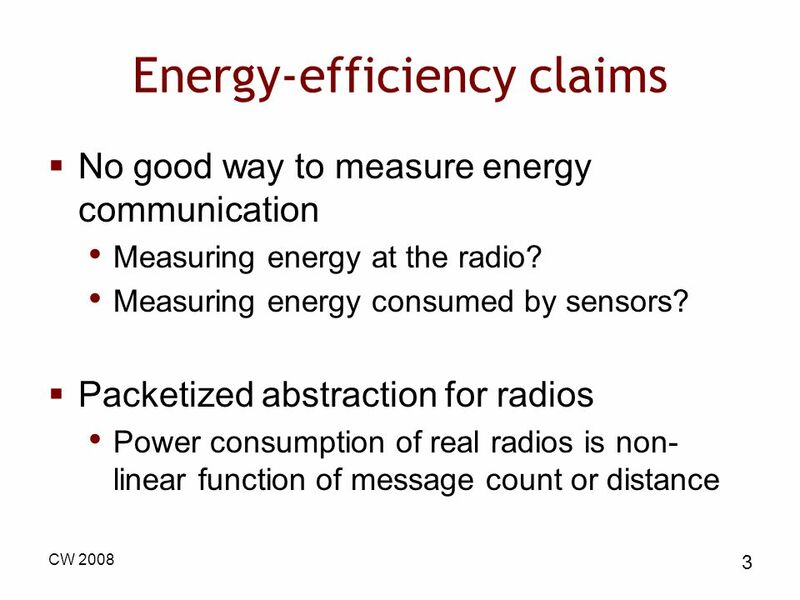 Security Patterns in Wireless Sensor Networks By Y. Serge Joseph October 8 th, 2009 Part I.